Are Powered Garage Doors Right For Me? Although the classic manually operated up and over garage door remains Britain’s favourite by far, more and more homeowners are choosing to opt for powered garage doors. There are many attractions to powered garage doors, not least the ability to operate them remotely from the comfort of your car. There are, however, several factors to consider before deciding to make such an investment. Our experts take a closer look. What are the advantages of powered garage doors? With autumn now upon us and with it the typical cold wet and windy weather that we can expect for the next six months, having the ability to open your garage door from the warm and cosy inside of your car is definitely an attraction. Another advantage of powered garage doors is that you do not have to put any physical effort into opening them, making them a good choice for older people as well as those who are less mobile. If you have children or pets, then an automated door offers more safety for everybody as you will not have to take the risk of leaving them unsupervised inside the car, or running free when you are maneuvering into what is often a limited space. With auto stop and auto reverse, automated doors are designed to prevent collision or entrapment, protecting both your family and your car. Are powered garage doors secure? 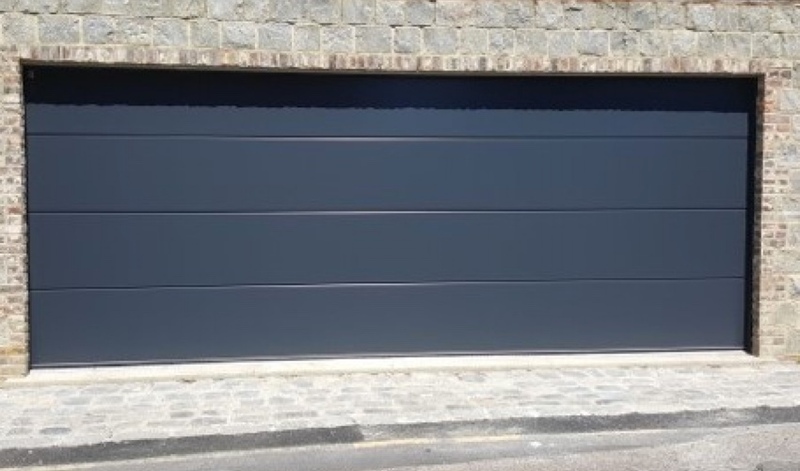 Many modern garage doors are available with a wide range of security features such as reinforced gussets to prevent forced entry, high security bracing to avoid ‘peeling’ and steel frames to prevent the door being pried open. One of the biggest differences between a powered door and a manually operated door, however, will be the locking system. Manual doors are key operated and typically feature anti-drill barrels and multipoint locks, whilst on automatic doors the electric motor locks the door at the top where it is connected. On an automated up and over door, the physical locking is generally disabled when a motor is fitted to ensure the door does not accidentally latch shut and burn out the motor. Although the physical locks are generally disengaged, they can stay in place if a special de-latch kit is fitted which de-latches the locks just before the door begins to open. Are remote controlled doors a security risk? If you are planning to use a remotely operated system, then you can buy in confidence with the knowledge that your garage door is very secure. High quality remote control kits use encrypted signals and may also use a special rolling code system, where the code is updated each time you open and close the door. Some systems also offer a special feature commonly known as ‘Vacation Mode’, which will disable the remote controls if you are planning to be away for a period of time, meaning that the garage door can only be operated from inside the garage. One of the best ways to ensure that remote controlled garage doors are safe is to treat them the same way as your car keys. For maximum security, fobs should be stored in an internal location away from doors and windows, ideally in a purpose made shielded container, to protect them from being scanned by criminals. For added security, you may also wish to have an alarm fitted which will detect if the door is opened. There are some available which can communicate with your mobile phone via an app, so you can be sure you are secure no matter how far away you might be. Those who wish to have enhanced security are advised to consider a Hormann Secured by Design (SBD) accredited sectional door fitted with a Hormann motor. As well as the standard features, the Hormann motors also have a physical lock in the boom. This helps their sectional doors to achieve the SBD accreditation when a hormann insulated sectional door is fitted with a hormann promatic or supramatic motor. It should be noted that to retain the certification, the door cannot have windows in it. The door also has to be fitted on the back of the opening (not in between) to ensure the frame and fixings cannot be attacked from outside. Which kinds of doors can be automated? Automation is available for almost every type of garage door. The vast majority of up and over retractable and canopy doors can be converted to open automatically with a special kit, as can sectional doors and even side opening doors. One of the most important considerations is choosing a high quality kit from a trusted manufacturer. For this reason, we would recommend Hormann for the vast majority of domestic customers. Designed and manufactured in Germany, they are considered to be among the best in the industry and are noted for their strength and durability, as well as their smooth and quiet operation. Before deciding to automate your garage door, we would always advise a site visit from an expert to ensure that your garage door is suitable and to identify the optimum door opener for your size and weight of door. If you are interested in automating your garage door and would like to speak to an expert today, call Arridge Garage Doors now on 01691 670394. Get today’s best discounted prices. Order before the end of March! We have successfully achieved a SMAS Worksafe accreditation to meet the SSIP Core Criteria and to be line with the current Health and Safety legislation. G. Martin on Impact of new Q Building Regulations on Garage Door Industry: our guide to garage door security. Mark Adams on Our advice on how to get the most out of your garage.